Eddie & Sons Carpet & Upholstery Cleaning are a locally owned and operated, full service Carpet Cleaning company serving Standish, ME and the surrounding areas. We have built our reputation on honesty and integrity, and since 1995, we have been developing long-lasting relationships with our valued clients. Eddie & Sons Carpet & Uholstery Cleaning offers Residential and Commercial Carpet / Rug / Upholstery / Tile & Grout and Vinyl Commercial Tile (VCT) Stripping & Waxing Cleaning. We also offer Water / Flood Damage Restoration and Mold / Mildew Removal and Remediation. When disaster strikes, you need an experienced restoration company to respond immediately to limit the damage and destruction that follows a catastrophe. 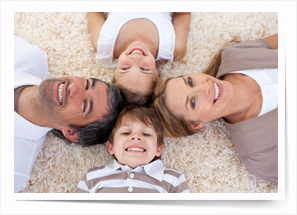 Eddie & Sons offers immediate water extraction and carpet deodorizing. We specialize in flood, fire, storm damage and mold remediation. We use state of the art equipment and techniques to restore homes and businesses. Working together we can efficiently and professionally restore your property so you can resume your daily lives.